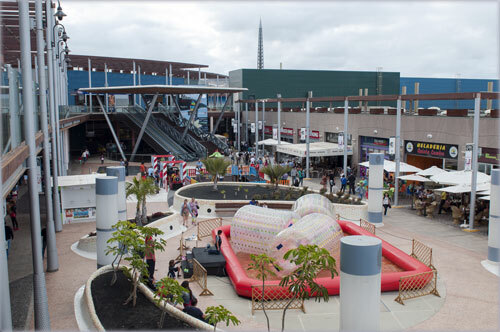 Las Terrazas Shopping Centre is a 20,000 m2 open air area located next to the sea, between the towns of Telde and Las Palmas de Gran Canaria. 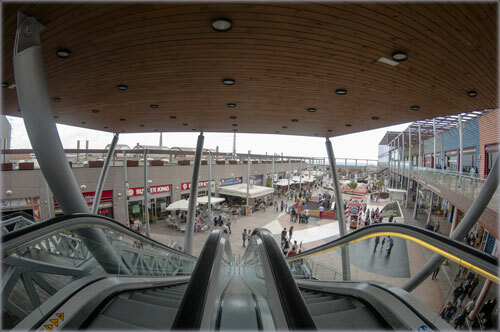 It is one of the newest shopping centres, and opened in 2008. 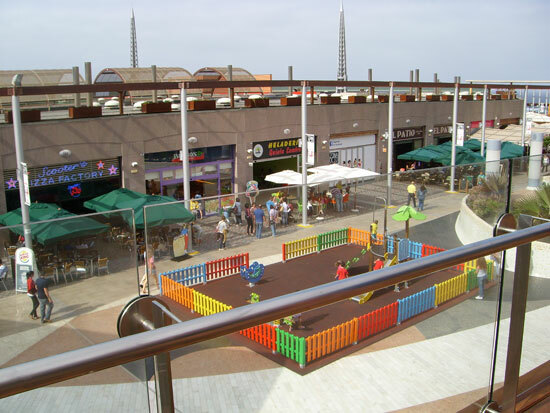 It has plenty of free parking space, and taxis are available at the door.There is plenty to do and see in this centre and it has a big variety of bars and restaurants. We have recently upgraded this mall to five stars. - Area Factory where well known clothes brands are available at discounted prices (up to 70%!) all year round. Goods are in perfect condition and are of previous seasons. 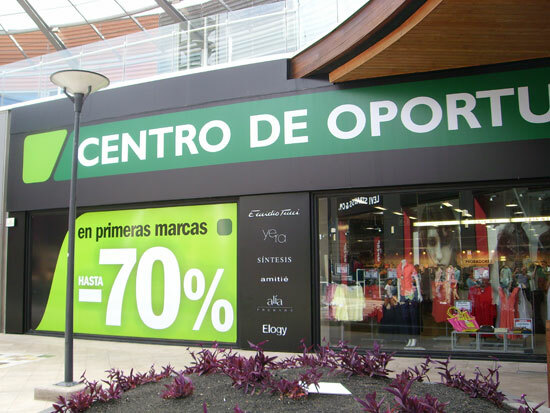 We can find (outlet) shops such as El Corte Ingles Oportunidades, Levi's, Pepe Jeans, Mango Outlet, and many more. 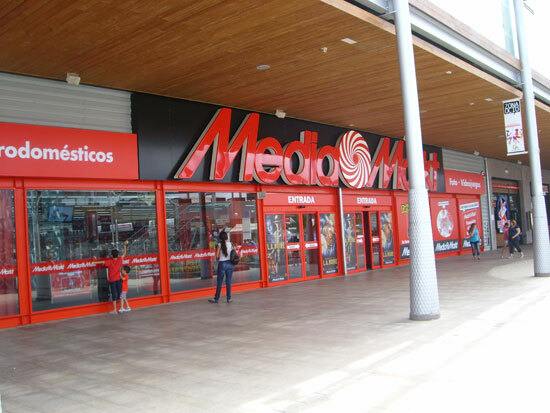 - A Mercadona hypermarket: The opening of this huge supermarket has definitely improved the flow of people to this shopping centre. 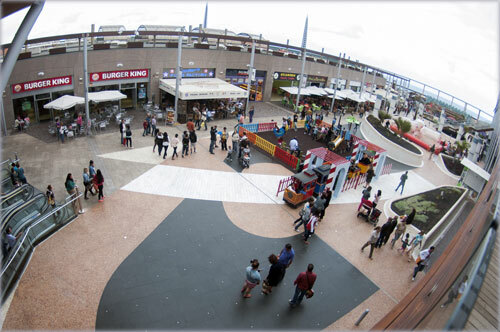 - Plenty of restaurants (including fast food ones like McDonald's and Burger King, Italian, Mexican food, etc.). On Tuesdays dinners (between 20.00 and 22.00 hours) are half price! - An open air theatre with seating arrangement for 600 people, where different shows are organized for free. - A two floor indoor Karting race course: Special deals available on Tuesdays and Thursdays 8 euros for an 8-minute race. The normal price on weekdays is 12 euros for adults, and 10 for children. Weekends and holidays, the price is up by 2 euros each. Opening hours on weekdays: 16.00 till midnight. Fridays and days before holidays from noon till 2 a.m. Saturdays from ten in the morning till 2 a.m. Sundays and holidays from ten in the morning until midnight. The German Media Markt electronics and computer superstore attracts loads of people looking for the latest gadgets. 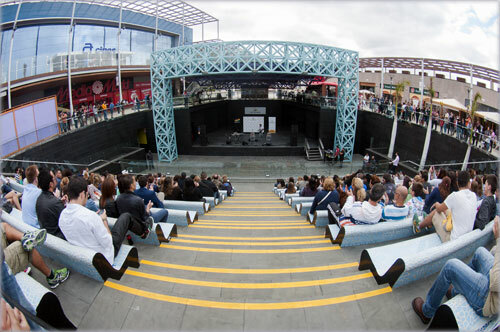 Every month, musical (and other) events are organized for the visitors of this shopping centre, and are held in its open air theatre. 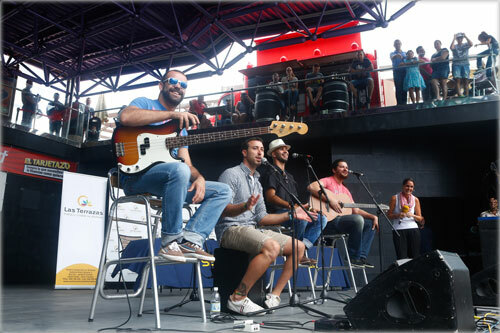 In July 2013, the local group "Efecto Pasillo" gave a concert, during the broadcast of a nationwide program for the "Cadena Ser" radio station. Almost 500 people enjoyed it, and best of all, it was free. Below is a picture of the group. - By Bus: Bus 01 will leave you on the motorway and you will have to walk about 5 minutes from there. This bus is extremely slow as it stops at each and every village. If you're coming from Mogan or Puerto Rico, it can take almost two hours to get there. 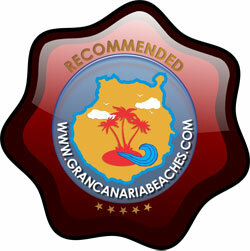 - By Car: get on the GC-1 Motorway from the south, towards Las Palmas, and get out at exit 6b. This exit says, "El Cortijo/ Las Terrazas" and is clearly marked with a shopping trolley picture. For a complete list of shops, click here (opens in a new window).